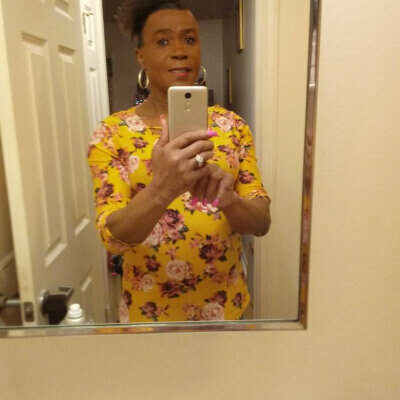 Hello this is pink I am a black very pretty transgender woman from Toledo Ohio I am 5'6 163lbs pretty black hair Brown eyes nice brown skin. I have been living as a woman for over 16yrs I have been on female hormones for about 5yrs I have beautiful breasts thanks to the hormones. Frist you need to know that I love living for the Lord he comes frist in my life i like the time I spend with him it is so beautiful and he makes me feel so. Good about myself I love serving him okay I need to find a lady on this dating site that truly loves the Lord and likes going to church my friend is the pastor of the church that I go to. I would like to find a lady who is done playing the game of life no cheating and no lies no ex-girlfriend or ex-wife or ex- boyfriend. I want a lady who is ready for a long term relationship someone who would like to just be loved and spend time together talking and laughing okay and also praying together and reading God's word together. Okay I know that sounds crazy but there has to be a lady on this line who loves the Lord. I could give you so much love that when I hold you in my arms on will feel the love pouring out on to your heart and your body I promise you i would not lie to you. I like going to the drag race's top fuel dragster and funny cars amusement parks Fair's nature trails. Long walks by the beach moonlight walks holding hands kissing under the stars going to flea markets yard sales garage sales second hand stores. I love to shop at Wal-Mart my favorite store I like reading going to the movies i don't waste my time on watching TV at all I can spend my time doing other things I promise you that. I love listening to jazz and Christian rock and old r&b music I listen to a lot of jazz it sets the hood for my heart it is smooth and relaxing it keeps me melody all the time. So if you think you would like to discover the fountain of youth please message me and let the magic begin. Thank you for dropping by my profile and by the way you can just this is pink.